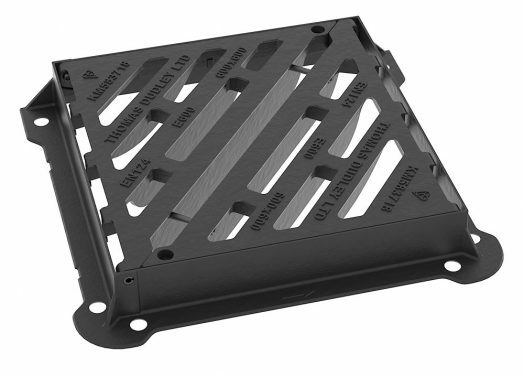 E600 Gully Grates – Suitable for areas imposing high wheel loads such as docks and aircraft pavements or extremely heavily trafficked carriageways. E600 gully grates are prevalent in docks, airports and heavy industrial areas where extremely heavy vehicles are operating. They are also common in inner city areas where the sheer volume of traffic, coupled with the expense and inconvenience of replacement, means they are often the ideal choice for such applications.